Hive ditches its subscription plan in favor of you-own-it hardware. Here’s how well it works. 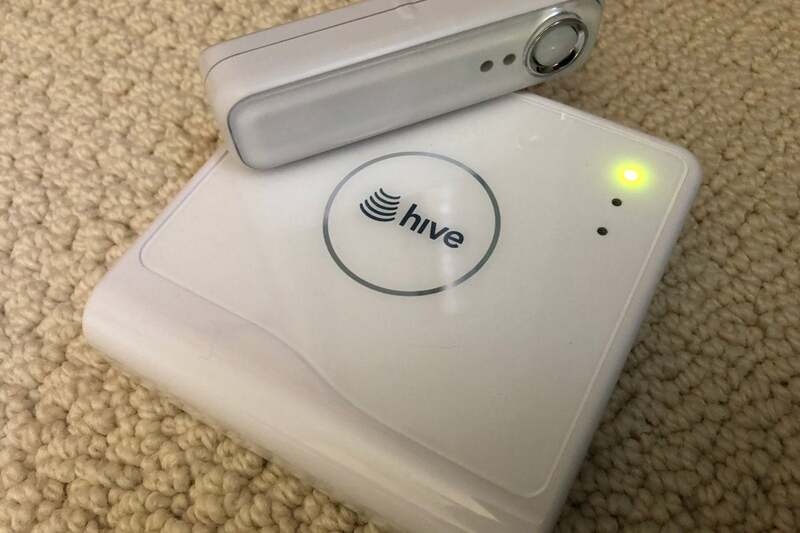 Hive bills itself as “the UK’s leading smart home brand,” and last summer its products arrived on U.S. shores. Its initial offering here consists of three Hive smart home packs. The top-of-the-line Hive Welcome Home pack reviewed here is an “everything you need” kit that will give you a jump start on just about every facet of your budding smart home except one: security. It’s priced at $349.99 if you purchase it outright, or you can spread the payments over 24 months ($14.58 per month). In either case, ongoing service and maintenance are complimentary. The kit includes the Hive Hub (the nervous system of the whole affair), two white-tunable smart bulbs, a motion sensor, a window/door sensor, a smart outlet, and a smart thermostat. 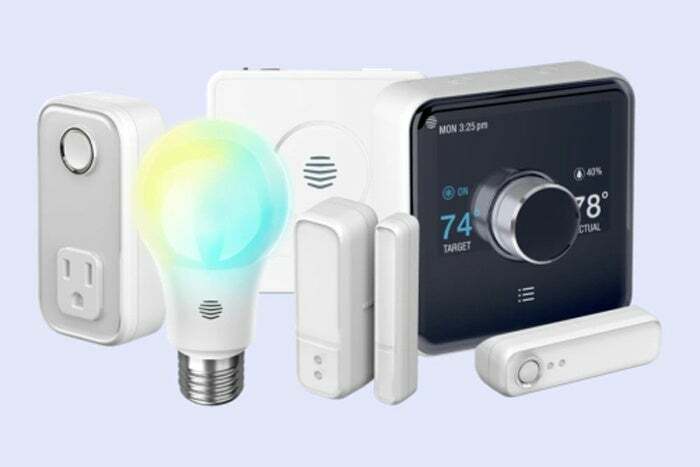 You can add additional smart devices on an a la carte basis, ranging from $30 for an extra white-tunable smart bulb, $45 for an additional outlet, and $180 for a second thermostat. Color-tunable bulbs ($50) and a security camera ($150) are also available, but neither is part of the Welcome Home pack. The low-profile Hive Hub with Hive’s motion sensor. This is a slight shift from Hive’s original business model, which was to offer its gear as a service for a monthly fee. Consumers didn’t respond to that, so the subscription service was dropped in favor of a more traditional ownership model. The company’s original plans didn’t include security coverage, and that’s still the case. They don’t offer sirens, smoke detectors, leak detectors, video doorbells, or professional monitoring even as an option. I installed and tested all the components of the Welcome Home pack except the thermostat, which wasn’t compatible with my HVAC system. Operationally, Hive’s system is similar to that of SmartThings or any number of other smart home systems. A handsome little box, the size of a couple of slices of bread, form the Hive Hub. Plug it into your router via ethernet (no wireless option here), install the Hive app to configure it to work with your Wi-Fi network, and you’re off. Adding devices to many systems like this can be a frustrating process of scanning codes, punching buttons, and hoping for the best. Hive’s system for adding new devices (these all use ZigBee tech) is incredibly simple, though it can be slow. Simply plug in a device (or activate its batteries) and select Install Device within the app. There are no hardware buttons to press, nothing to scan. You just wait for the app to search your house and locate the device. While this can take a fair bit of time (a minute is typical, seven minutes was the maximum in my testing), once the device is discovered, the process is totally complete. Hive suggests adding devices one at a time, so plan for at least an hour for setup for even a basic configuration. Hive's smart plugs are tall enough to prevent you from using two in the same outlet. For the most part, Hive’s add-on products are svelte and well-designed. 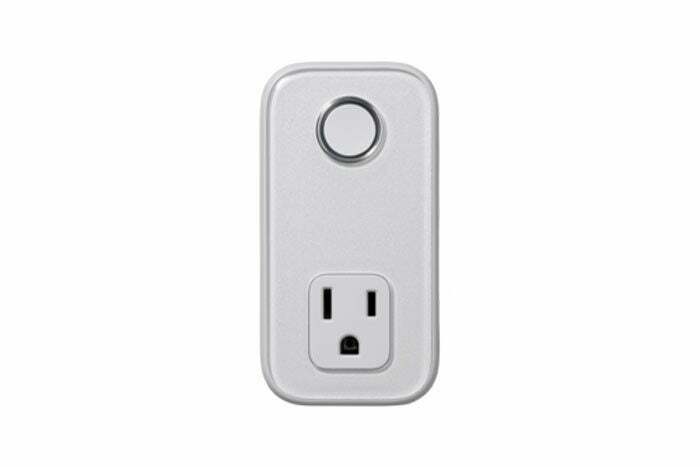 The motion sensor and door/window sensors are about the size of a pack of chewing gum, with rounded edges and a thoughtful, modern appearance. Door and motion sensors are designed to adhere to walls with included sticky tape. The smart outlets are less engaging. They borrow the same overall design, but they’re on the large side, with a vertical design that ensures you can’t use two in a single receptacle. Hive’s white-tunable bulbs have a standard Edison style design and size, and they fit perfectly well in any type of fixture. 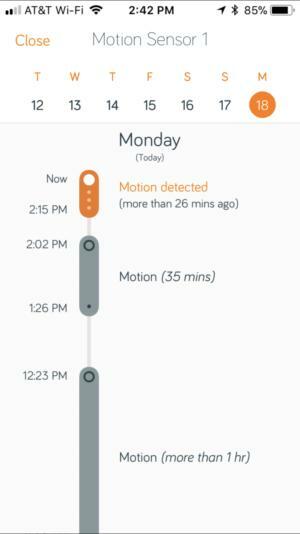 The Hive motion sensor is arguably its best feature, including this incredibly helpful status screen. Hive’s central nervous system is found in the aptly designed home screen of its app, a honeycomb spray of icons, each of which corresponds to a device connected to the platform. This provides an at-a-glance look at what’s turned on or off, but it’s limited in that it doesn’t show, for example, whether a light bulb is dimmed and to what level. To get there, you must tap the icon for that device, after which you can set specific parameters (like dimming) or set a schedule for turning the device on or off. Scheduling in Hive is a bit convoluted, namely because you can’t set devices to work as a group. As a test, Hive recommends building a schedule to gradually turn on lights over the course of the morning for use as a gentle wake-up call. Setting this up is incredibly tedious, however, as you must configure each light bulb individually, and through a not entirely intuitive interface. On the plus side, a special mode called “mimic” is easy to set if you want to activate a simple vacation mode. 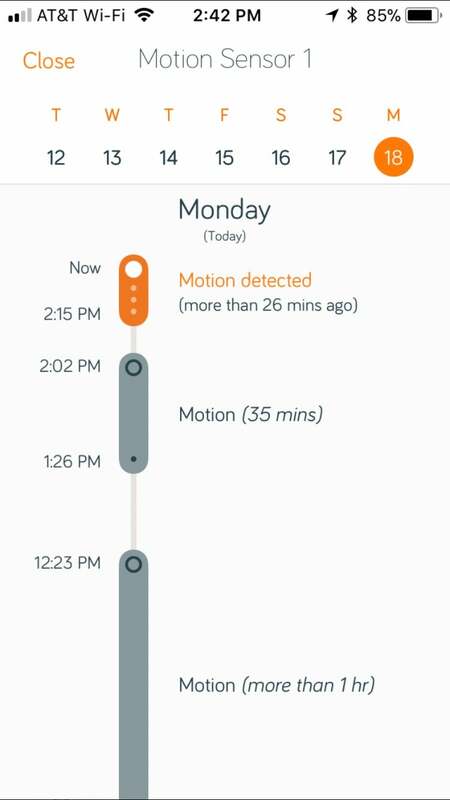 While Hive’s motion sensor was outstanding in my testing, I had significant trouble with the door/window sensors. One of these sensors failed to connect during my initial setup and required resetting and trying again. But after they were both connected, one continued to give me trouble, namely that it would only register door openings, not closures. Eventually it stopped registering activity altogether, which probably indicates a hardware problem. Hive’s app gives you a decent look at your system on one screen. Speaking of notifications, Hive is a bit strange in that, by default, it doesn’t provide any at all. Instead, the user must configure these manually for each notification he wants. In the case of a sensor, that means sending a push notification when a door is opened or closed, or turning a plug or light on or off after a door is opened or closed. 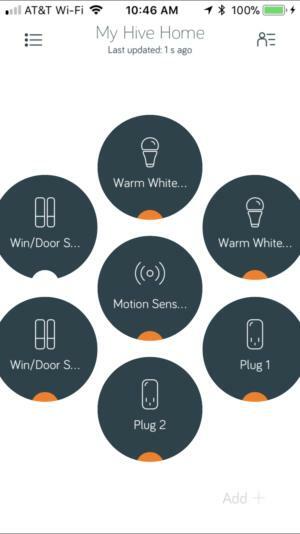 Again, these are all considered separate actions for every device, so if you want to be notified when any door or window in the house is opened and closed or a motion sensor is tripped, you’ll need to configure two notifications for each sensor. Some streamlining is needed to simplify all of this. Hive works with both Amazon’s Alexa and Google Assistant, allowing you to perform basic functions such as dimming lights and turning on plugs via voice commands. This is probably especially handy with the thermostat, letting you kick up the temperature a few degrees without getting out from under your blanket. IFTTT is also supported. All told, Hive is a capable and appealing smart home system, though it has some room for improvement. As it stands, it’s not a bad choice for a smart home newcomer, provided you don’t need to venture too far beyond the basics—and you’re not looking for a home security system. Ditching the subscription was a smart move, though Hive could stand to improve its app and upgrade some device capabilities.